My professional staff is dedicated to giving Fort Myers, Cape Coral, and Punta Gorda patients personal and sensitive attention, with cosmetic surgery and plastic surgery in a responsive and comforting manner. Your individuality and feelings are completely respected. Dr. Brueck performs a wide variety of plastic surgery, cosmetic surgery and reconstructive surgery procedures for patients throughout Fort Myers, Cape Coral, and Punta Gorda in Southwest Florida. Judy has been with Associates in Cosmetic Surgery for over 10 years as the Aesthetic Coordinator and has been in the medical field for over 20 years. She enjoys being able to get to know the patient from the very first consultation all the way through to the post-op appointments and seeing smiles on the patients faces. Judy is also a makeup artist and was born and raised right here in Ft. Myers. She is married with 3 beautiful girls and 3 Golden Retrievers. While Judy is away from the office she keeps extremely busy with her Golden’s and her daughters who are very active in competitive soccer and barrel racing. 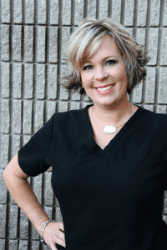 Chi has worked for Associates in Cosmetic Surgery for 15 years as a medical assistant. She has lived in Florida for 26 years and was born and raised in Rockford, Illinois. Chi is a huge animal lover, and enjoys spending time outdoors. She has been in many different areas of the health field, but feels cosmetic surgery is the most enjoyable. She says Dr. Brueck is a joy to work with and very caring to his patients. 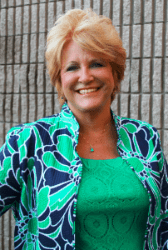 Susie has been employed by Dr. Brueck for 23 years as a member of his management team. She has enjoyed being a part of the evolution of Dr. Brueck’s plastic surgery practice. With the sun and fun that Florida has to offer, being involved with a practice offering youth, beauty, and health to patients is very rewarding to her. Susie says she has been very blessed to be married for 33 years and have a wonderful family who brings her so much joy and happiness every day.